If you've ever considered a trip to Norway (or maybe if you're reading this post because you're currently planning a trip there), chances are you've already had people tell you that you have to go to the fjords. 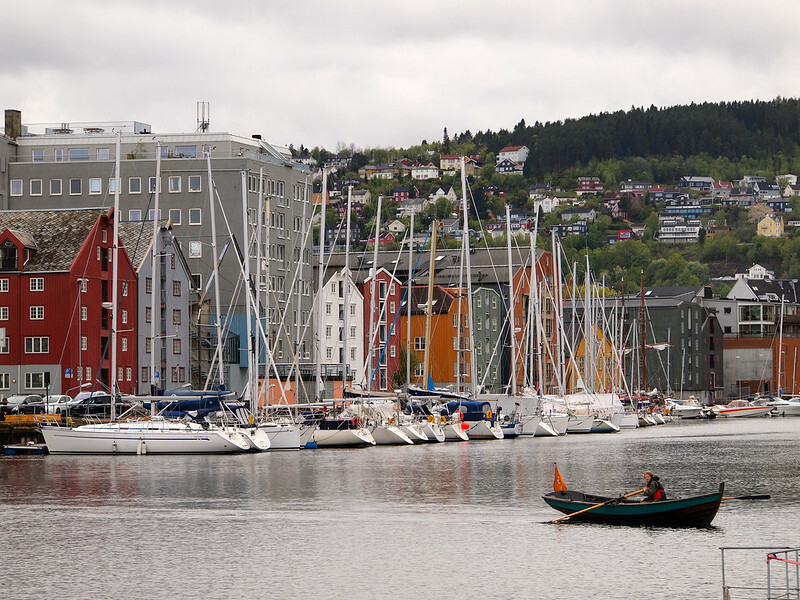 You may have had people recommend Tromsø and the Lofoten Islands in the north, or wax poetic about Bergen in the south. They may have even told you not to skip Oslo. But what do you know about Trondheim? If you're anything like me before my first trip to Norway, chances are you don't know much. And when we haven't heard a lot about a place, chances are we won't be too fussed about going there. So let me tell you a bit about Trondheim. 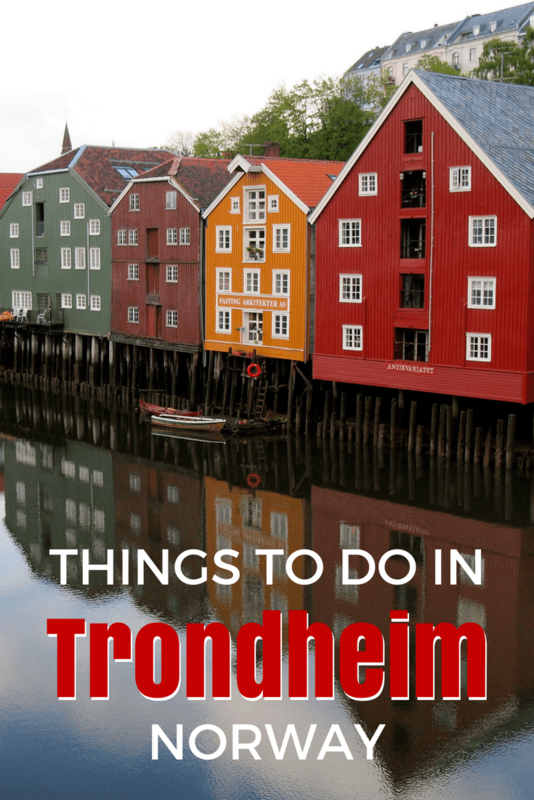 Because Trondheim definitely DOES deserve a spot on your Norway itinerary. During my two days in Trondheim, I began referring to the coastal city as the “capital of many things in Norway.” It's the bike capital of Norway, with by far the most designated bike lanes that I saw anywhere in the country (though it still wasn't that many). 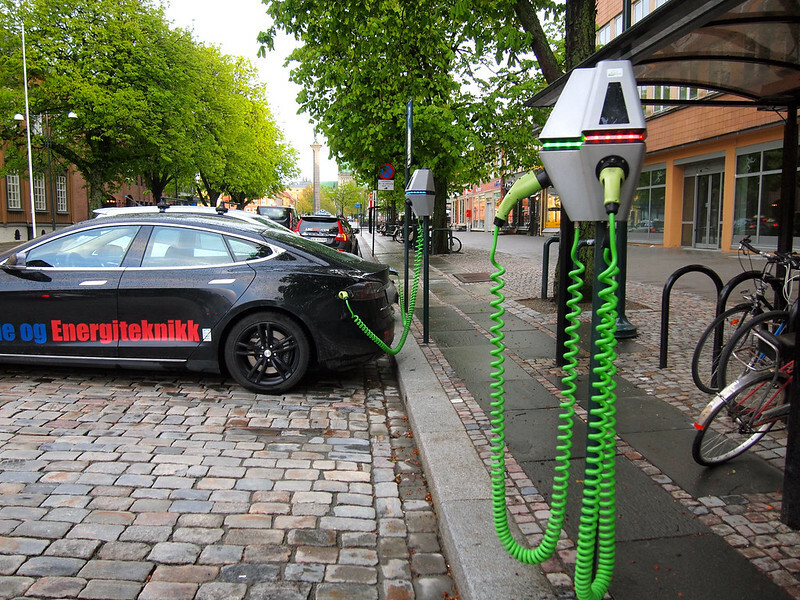 It's the electric car capital of Norway, even offering charging stations in the city center. It's also branded itself as the foodie capital of Norway, with a lot of local (and delicious) food being served up all around the city and during a popular annual food festival. And, of course historically Trondheim was the ACTUAL capital of Norway. The city was founded by the Vikings in 997 (yes, that's right kids, this city celebrated its THOUSAND YEAR anniversary in 1997), and served as the capital of Viking Norway up until 1217. 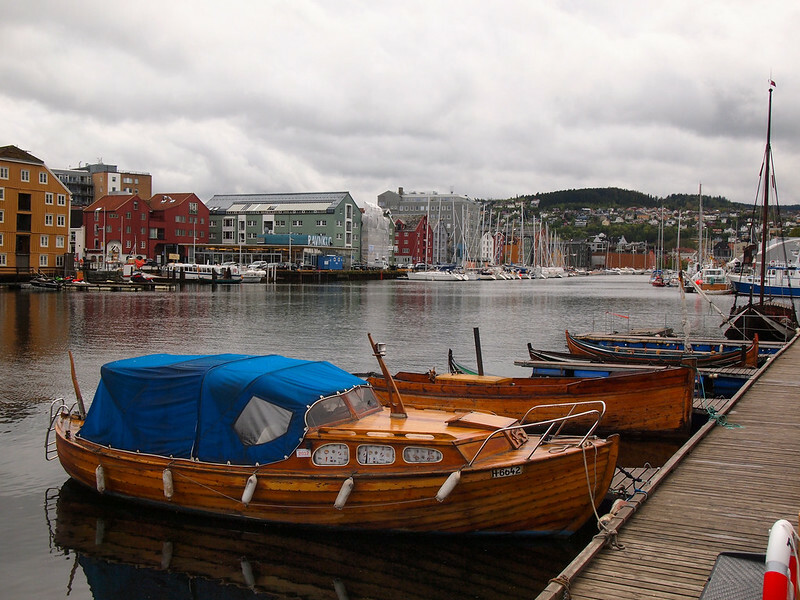 Today, Trondheim is the third-largest city in Norway. 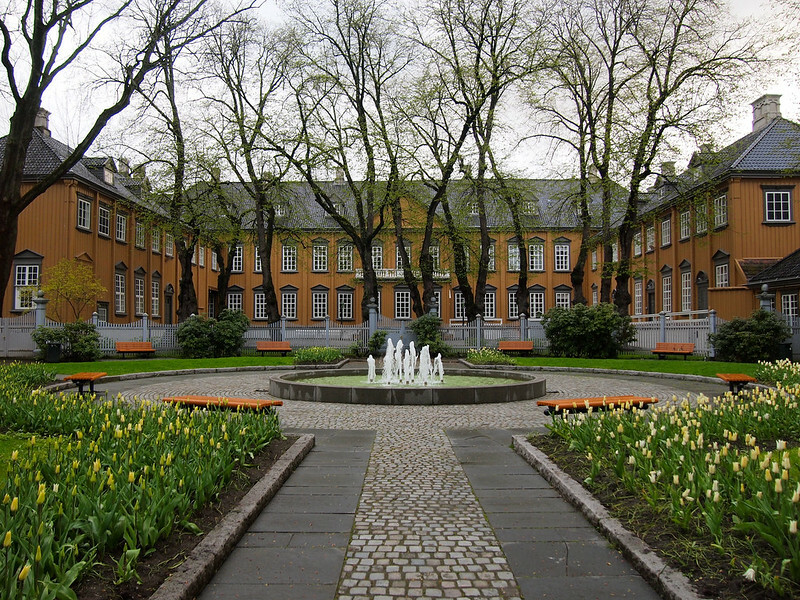 This might seem a big daunting if you're not much of a “city person,” but don't worry — you can walk from one end of the city center to the other in about 20 minutes, and it's really easy to navigate. 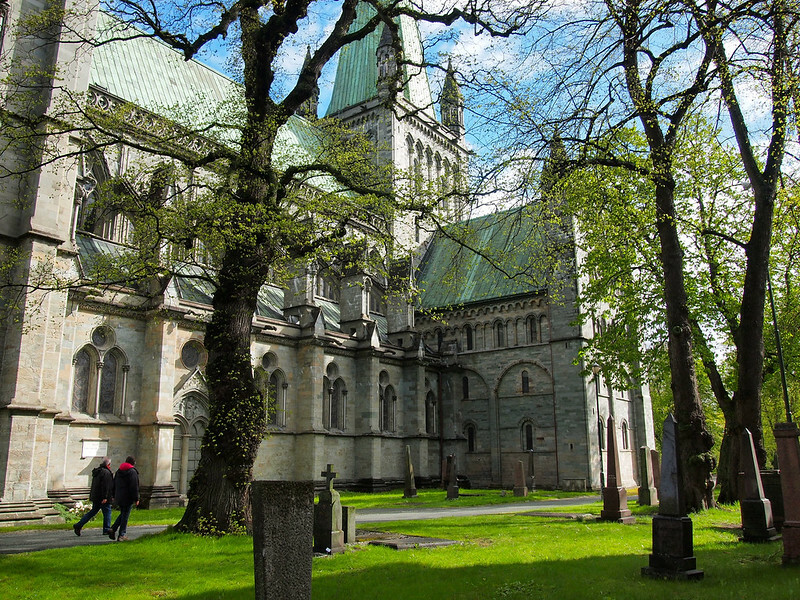 One of Trondheim's major draws is its cathedral. 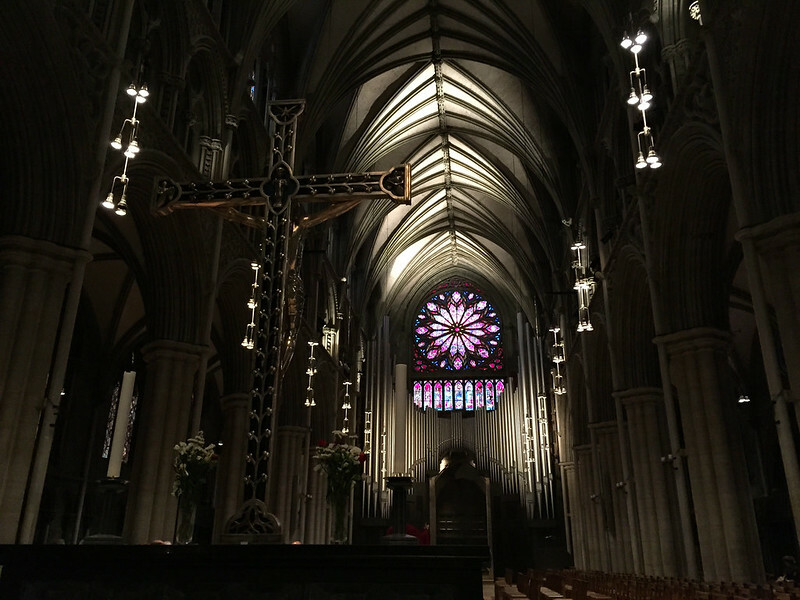 It was built nearly 1000 years ago on the burial site of Saint Olav, an early Viking king of Norway who became the patron saint of the country. For hundreds of years, it was the seat of the region's archbishop (hence why it's a cathedral). Unfortunately, the church was plagued by fires during the Middle Ages, leaving it more or less in ruins for a long time. Thankfully, restoration of the cathedral began more than 100 years ago and continues today. When you visit Nidaros, you can take a tour inside the cathedral (sometimes even up into the bell tower), visit an exhibition in the buildings where the archbishop would have lived, and visit a museum filled with items that have been found in/around the church during restoration. 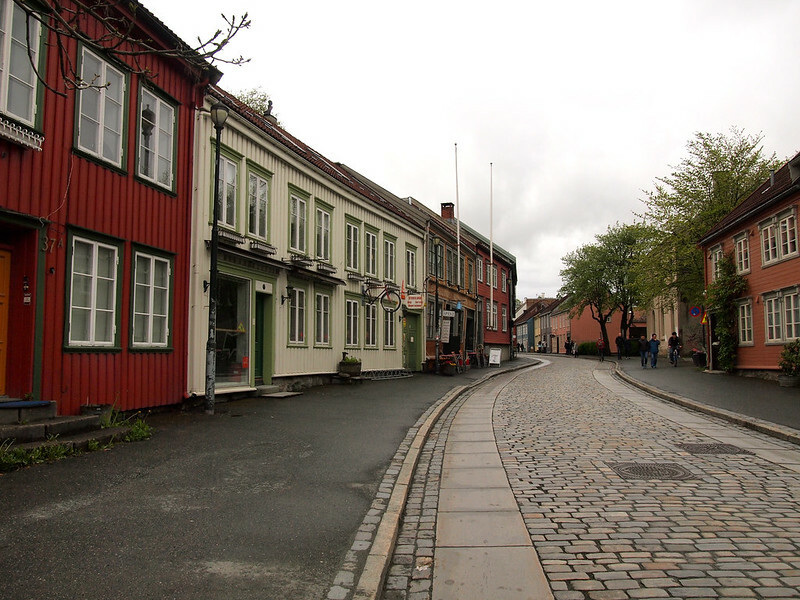 The Bakklandet neighborhood in Trondheim is definitely the most picturesque part of the city. Here you'll find cobbled streets and old wooden buildings that have escaped fire and demolition over the years. Many are old warehouses that have now been converted into homes, shops, and restaurants. My favorite view of Bakklandet was from the Old Town Bridge — thank you, rain, for stopping long enough for me to get some decent photos! Trondheim has a few museums, but the coolest is probably Rockheim, an interactive, multimedia-fueled museum all about rock n' roll. I'd also recommend the , which includes an open-air portion that's set up like an old Norwegian village. Like I mentioned earlier, Trondheim is an easy city to navigate on foot, so going for a wander through its streets is never a bad idea. Since the city is quite bike-friendly, this makes it quite pedestrian-friendly, too. Since Trondheim is the self-proclaimed “food capital” of Norway, I figured you'd probably want some recommendations on where to eat, too. If you go to this restaurant's website, it will describe itself as “a peaceful café where you can enjoy delicious food and drinks in a traditional setting” in the Bakklandet. But that description is grossly underselling this amazing little place! The food is not only delicious, but it's also all locally sourced and home-made. 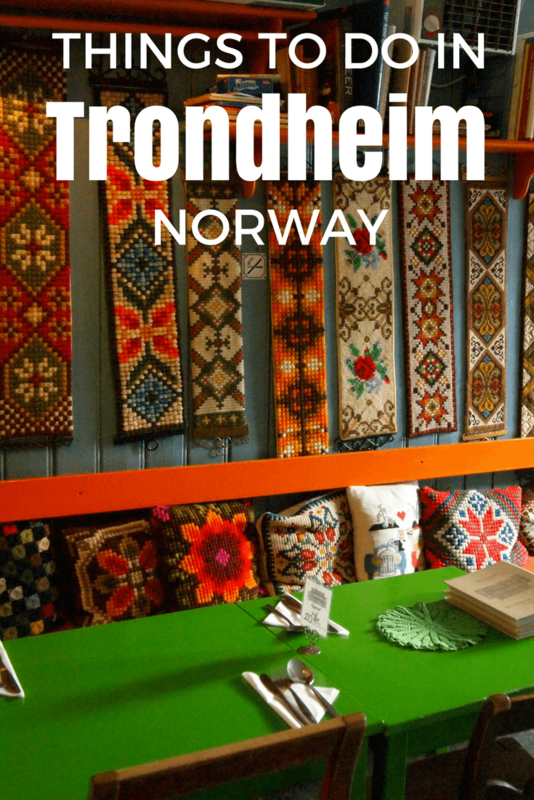 And the “traditional setting” you can expect is a cozy, homey atmosphere with decor that makes it look like the house of the Norwegian grandma you never had. A few years back, Andrew Evans (@wheresandrew from National Geographic) made this place famous by naming it not only one of his favorite cafes in Norway, but one of his favorite cafes in the world. If you want to get away from the city and get back to nature, head up into the forest surrounding Trondheim. There are lots of hiking trails here (and cross-country skiing in the winter), and you'll also find the cozy Skistua, a cabin-like restaurant that makes good pizza and delicious waffles. I stayed at the while in Trondheim, a huge hotel right on the waterfront. The hotel has nice rooms, a cozy lounge/bar near the lobby, a delicious breakfast buffet, and a really funky rooftop bar that I imagine would be a great place for a drink in the summertime. Rooms start at around $130 USD and range up to around $235 for a standard room with breakfast included. As you can see from most of my photos, I had a rather rainy visit to Trondheim. In fact, everyone I met told me it was the coldest, wettest May weather anyone could remember. Usually rainy weather negatively affects my perception of and experiences in new places. But, somehow, Trondheim managed to entirely charm me, even through the drizzle. So who's ready to visit Trondheim now? *Note: Thanks to Visit MY Trondheim for hosting me in the city. As always, all opinions and recommendations are 100% my own. Wow, Trondheim looks so beautiful. I MUST put it on my list! I really have no idea why you do not hear more about Trondheim, I guess it´s in the shadow of Bergen, which gets much more attention. I fell in love with Trondheim instantly (seriously! ), I like its peaceful atmosphere and unobtrusive charm. And the colours! 🙂 BTW I´d definitely add Kristiansten fortress to the itinerary as it offers great views of the city and the fjord. I feel like a lot of Norwegian cities get overshadowed by Bergen! I didn’t actually go to Bergen myself, but I LOVED all the other places I went, and locals were always thrilled to hear I was visiting their city instead of Bergen. Definitely looks worth it! That cathedral is beautiful and your hotel looks great! Also love that they’ve got those charging stations in town. I’ve never seen charging stations like that before! (Hence why I had to take a photo.) All of Norway is eco-friendly, but I’d say Trondheim was the most eco-friendly city I visited there! Even in bad weather I loved it – so that definitely says something about this city! People from Trondheim also seem to be really proud of their city, which is always a good sign in my book. The reference to the electric cars, including photos of the charging stations, was cool and informative. The Norwegians seem generally to do a good job at investing their petroleum resources toward longer-term socio-economic investments. That they have charging stations is so sweet. Yup, it’s awesome to see a country that really “gets it.” Also, Norwegians know that the oil isn’t going to last forever. So they’re definitely aware that alternatives are worth investing in. I visited Norway including Trondheim many moons ago back in the early 70s when I used Interail to explore Northern Europe. Thanks for reviving the memories- I like your photos from the Old Town Bridge which capture the reflection of the houses and mood of the day. Gloomy, rainy a day are sometimes a photographers gift! I recently spent a week in Bergen and fell madly in love with the place. 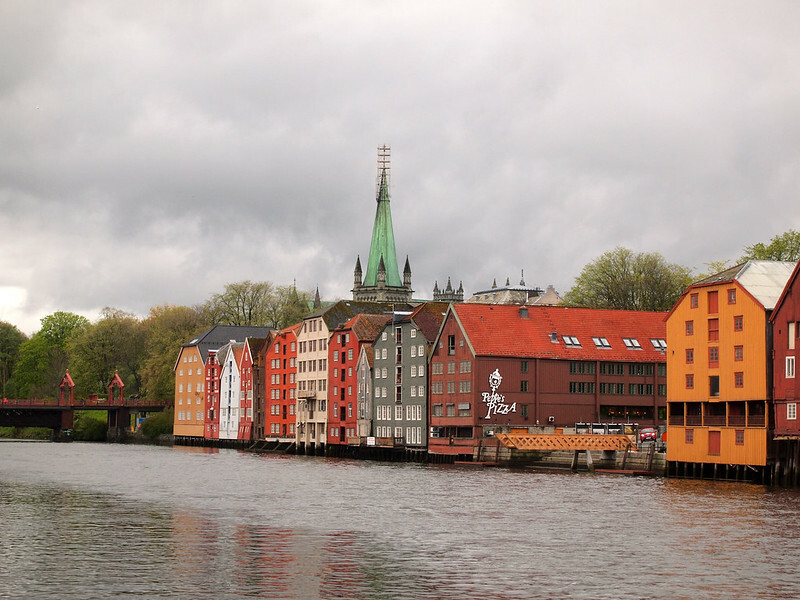 Trondheim is next on my Norwegian wish list! And I think there’s a direct flight from Riga!! I didn’t make it to Bergen, but I’m sure I would have loved it, too – I didn’t find a place in Norway that I didn’t like! Your photos are gorgeous. So obviously it’s a city worth spending a few days in! It definitely surprised me (in a good way!). A lot of the young Norwegians I met on my trip had studied in Trondheim, so I tend to imagine it as a dynamic university town – did you get that vibe at all? Also, I love cute cafes and Baklandet Skydsstation looks so cosy! Yup, parts of it definitely felt like a university town! Perhaps that’s why I found it to be so cool! My husband, 2 teenage Kids and I visited Trondheim this past summer. We fell in love with all the lovely people and wonderful History. We were hosted by family that we have in Melhus. I dream if going Back and making it the heart of our second visit. That’s great to hear, Patty! Glad you fell in love with it, too. I loved reading about your trip to Norway! My husband and I are going there to celebrate 50 years of wedded bliss! We have descendants from Hell, Vang and a town near Oslo in Norway. We want to see if we can find the family farm in each location. 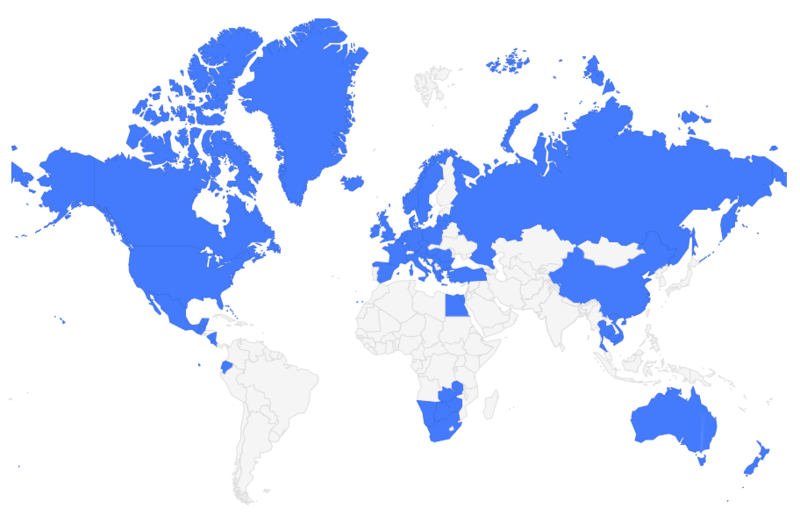 Our trip would be seeing the beautiful sights and a geneology search. It should begun and you gave some good ideas! I really enjoyed Trondheim, and definitely hope to return soon! Thank you Ida and Akatuki for all these amazing suggestions! I’ll be in Trondheim this summer and am wondering if you have any suggestions of places that do language exchanges? I’ve recently started studying Norwegian and would love to put my theoretical knowledge into practice! Hi! I live in Trondheim, and work as a photographer and writer. Really like how you captured the city. Great work, going to start following your blog NOW. Thanks for visiting and do come again soon! Thanks very much! I had fun there and definitely need to visit again sometime! I hope you enjoy it, Inna!